As I continue to dig through the Bronson/Cannon Films 80's output, I decided to give this one a try, knowing right up front that it's not one of his better known or most loved films. After having finally seen it, I can understand why. 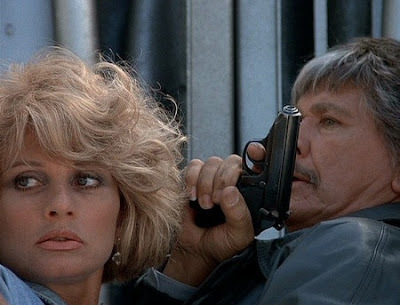 Charles Bronson plays Jay Killian, who is a presidential bodyguard who's assigned to protect the First Lady (Jill Ireland), who's been targeted for assassination. Hhmm. Where to start. I guess I can begin with the films biggest problem for me, and that's Jill Ireland as the first lady. Is it just me or was she insatiably annoying? I don't know if the purpose was to write her like a whinny, spoiled, bratty, condescending and stuck up snob, but that's exactly how she played it and every second she was on screen, I wanted to reach through the tv and slap her silly so she'd shut up. Really, she almost ruined the experience for me completely, she was that annoying. But I soldiered on. Assassination is a bit of a frustrating experience. All the ingredients are here, but they're not utilized efficiently. It's hard to even gauge what was written on page and what creative decisions director Peter Hunt made that might have changed that. 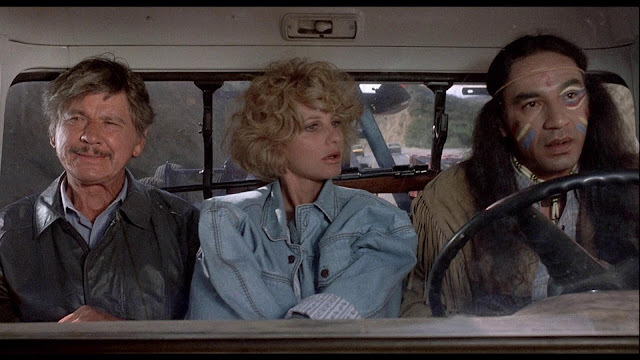 There are moments when the film feels too silly and light, and it really throws things off because you don't expect it and you don't quite know how to react to it. And then the film goes back to resembling the kind of film you were anticipating going in, the classic action/thriller via 1987. 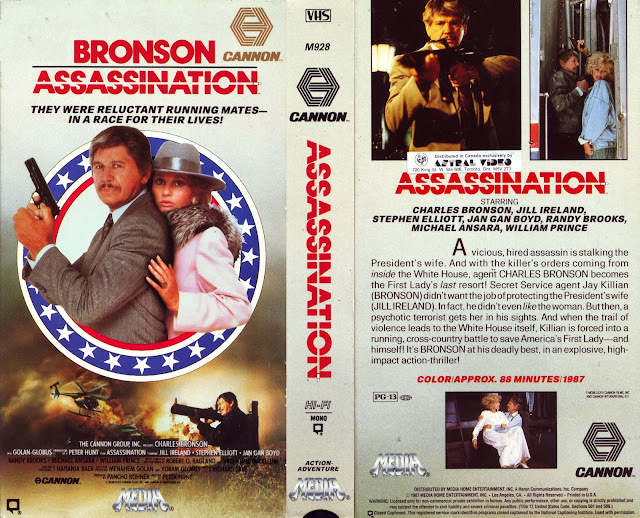 In that regard, Assassination is pretty much the kind of film you expect, but it's easily one of the most dismissive from his collaboration with Cannon Films. There's nothing remarkable or even interesting about this film, and the numerous issues it suffers easily makes this a one-time watch. For the most part, Assassination plays out like any standard Bronson/Cannon flick from the 80's. But aside from the oddly shifting tone, the action sequences, while few and far between, are poorly executed. It's hard to believe that director Peter Hunt was responsible for a James Bond (On Her Majesty's Secret Service) film at one point, or that he was an editor on a few other Bond films. You'd never know it by watching this though. While the majority of the film looks fine, once it gets to the action sequences, it becomes highly underwhelming. It's so bad that it's impossible not to notice. For a film that barely has any action to begin with, you really have to make the few that are here count, yet that's not what happened. In this case, it's the action sequences that feel shockingly amateurish overall, only made worse by some really bad editing. One of the more frustrating aspects of the film is it's script, where the first lady is repeatedly warned of assassination attempts, yet continuously ignores them like a brat. Even when attempts have been made, she blows them off as coincidence. When she and Killian are on the run for her protection, he discovers that she'd been in contact with the person he suspects of setting the hits up all along, and "still" doesn't think anything of it. It's moments like these that really become annoyingly frustrating because she comes off as not only a bull-headed childish brat, but also very stupid. In fact, the way Ireland plays her, reminded me of a bratty 13 year old girl. So the film suffers from 3 major issues; 1. ), Jill Ireland and her character are maddeningly annoying. 2.) The action is poorly executed and edited. 3.) The film, for some unknown reason, tries to be fluffy and silly from time to time. But thankfully, the film as a whole isn't a total loss. Charles Bronson is again playing the character Paul Kersey-like, and it's always rewarding. I don't think Bronson is capable of playing any character at this point in his career any other way, but hey, it works and works damn well. So on that front, he delivers the goods. The film in general is entertaining and engaging enough to sit through surprisingly. 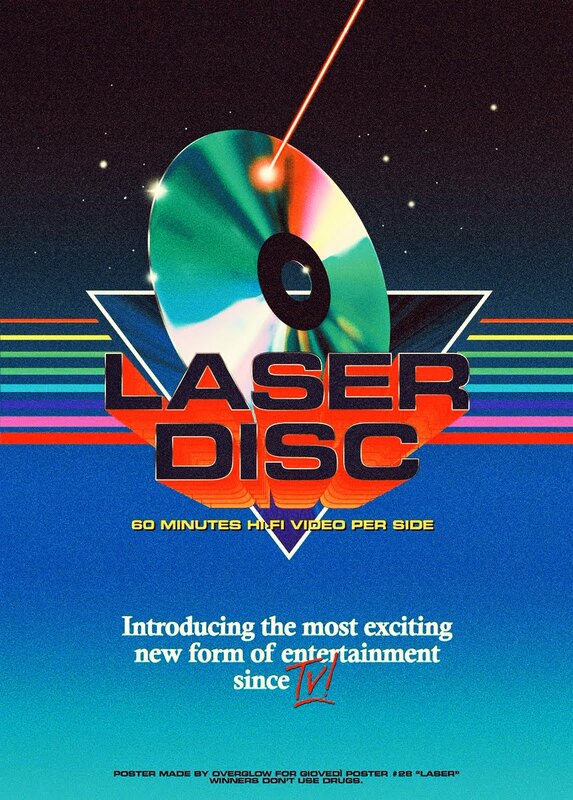 After all, it is a Cannon Film, so it will surely have an air of 80's thriller cheese to it, and this one does. It won't blow you away, but it's not a bad way to spend an hour and a half of your time if you're in the mood for some 80's Bronson.